In a stab-happy world, a sad outcast wrestles with his demons. 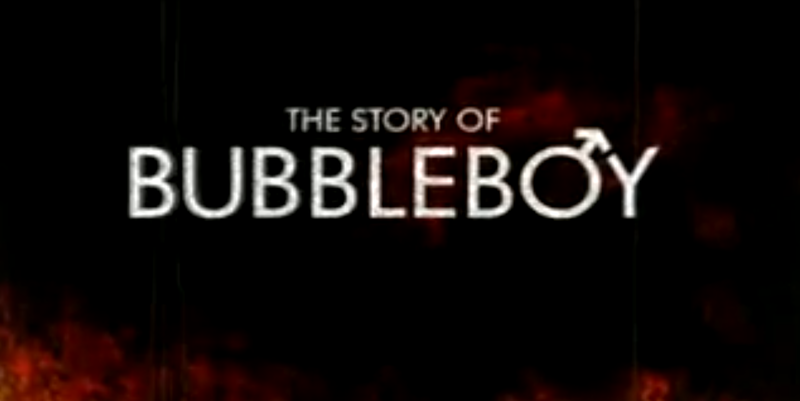 The story of bubbleboy is a film about being trapped by the past and redeemed by the future. This whimsical short film works beautifully with Steven Herrick’s The Simple Gift – both texts explore the adventures of a young male as he ventures into the world. Billy searches for somewhere to belong, yet this film’s protagonist is in need of groceries. Both texts use poetry to drive their narrative, although The Simple Gift offers different perspectives from individual characters while The Story of Bubble Boy relies on an omniscient narrator.